What luck! My sister dug out my mother’s old photographs of the swarm that we had back in 1986. They are the original photos which start the Bylaugh storyline which is tagged as a separate part of this blook. 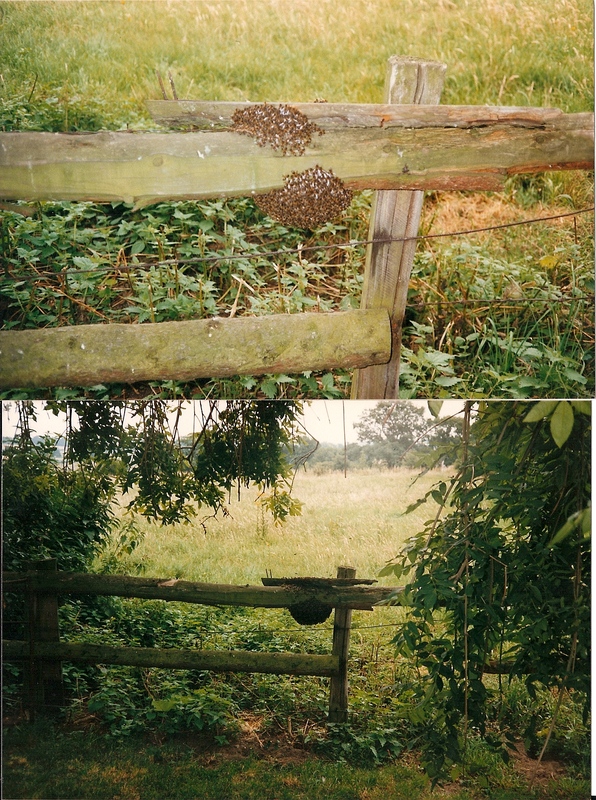 Here is the swarm on the fence after it had landed and before it was caught. What happy memories! Nice swarm…about three pounds I would think. I remember my first swarm. It was in a tree about four feet off the ground. It was cooler and cloudy that day, so the bees were calmer than on a sunny day. Perfect location and perfect weather.